See the documentation for the methods below to learn about the different drawing commands you can use with the turtle. This will immediately open a new window with the turtle at the center. 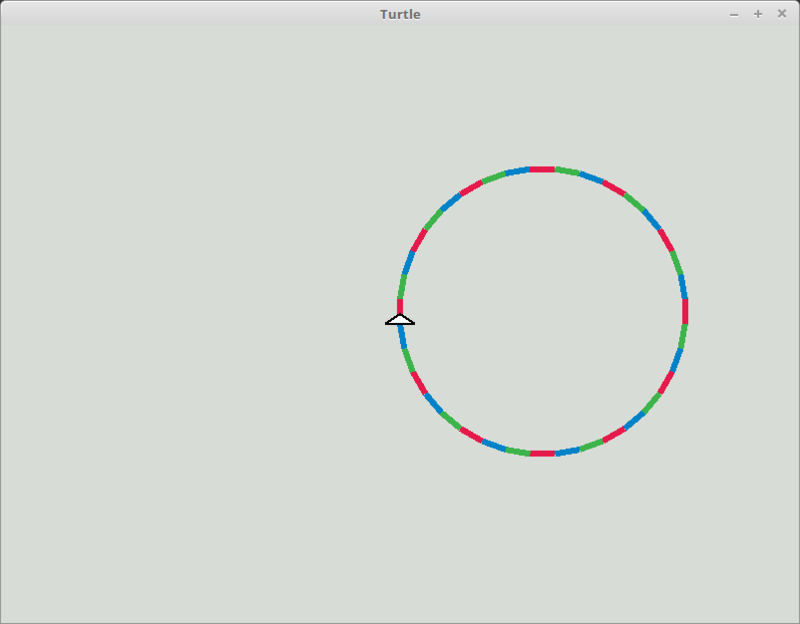 As each line in your program runs, the turtle shown in the window will update. Note: If you do not create the Turtle right at the beginning of main(), call turtle::start() in order to avoid any problems. Move the turtle forward by the given amount of distance. If the pen is down, the turtle will draw a line as it moves. The turtle takes very small steps (measured in "pixels"). So if you want it to move more, use a bigger value to make the turtle walk further. The distance can be a negative value in which case the turtle will move backward. Move the turtle backwards by the given amount of distance. If the pen is down, the turtle will draw a line as it moves. The turtle takes very small steps (measured in "pixels"). So if you want it to move more, use a bigger value to make the turtle walk further. The distance can be a negative value in which case the turtle will move forward. Instruct the turtle to turn right (clockwise) by the given angle. Since the turtle rotates in place, its position will not change and it will not draw anything while it turns. 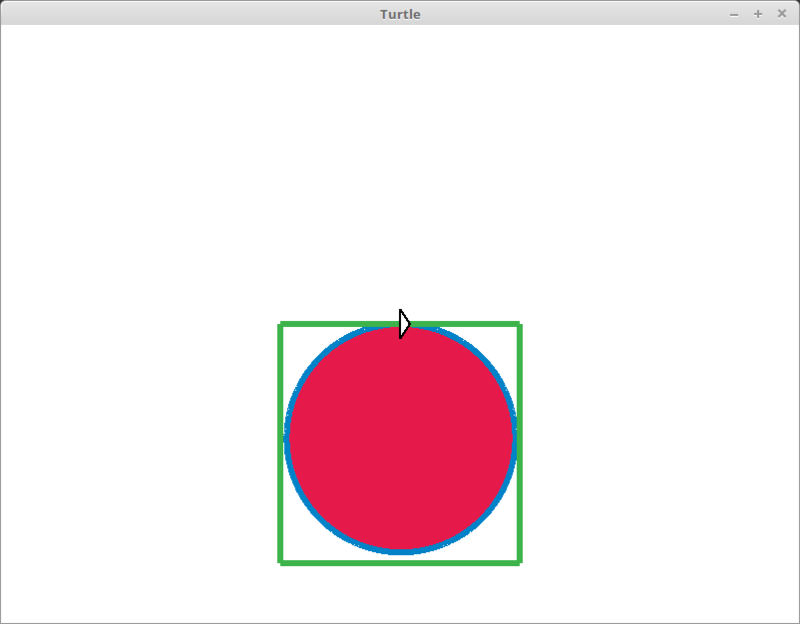 The angle parameter is a floating point number that represents how much you want the turtle to rotate. The unit of angle is "degrees" by default. You can change that by using the use_degrees() or use_radians() methods. Instruct the turtle to turn left (counterclockwise) by the given angle. Since the turtle rotates in place, its position will not change and it will not draw anything while it turns. Waits for the specified number of seconds before executing the next command. Retrieve a read-only reference to the drawing. See the documentation for the Drawing struct for a complete listing of the information that you can retrieve from the drawing. See the documentation for the Drawing struct for a complete listing of the ways that you can manipulate the drawing. Returns the current speed of the turtle. See the documentation for the Speed struct for more information. 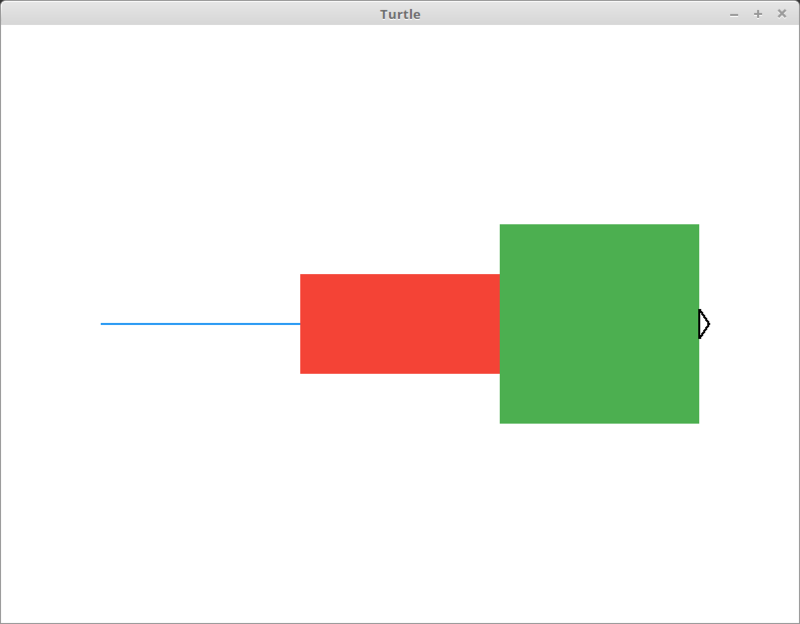 Set the turtle's movement and rotation speed to the given value. A higher value will make the turtle's walking and turning animations faster. You can pass either a number or certain strings like "slow", "normal", and "fast". See the documentation for the Speed struct for all of the different options as well as the valid range of numbers that can be used for speeds. Any invalid string or numeric value outside of the valid range will cause the program to panic! at runtime. Setting the speed to "instant" results in no animation. The turtle moves instantly and turns instantly. This is often used to position the turtle before you start to draw something. You can set the speed to instant, move the turtle into the position you want to start your drawing from and then set the speed back to "normal". So how does this method work? Why can it accept completely different types as input to the same function? Using this method is an excellent way to learn about the conversion traits From and Into. This method takes a generic type as its speed parameter. By specifying the type as S: Into<Speed>, we are telling the Rust compiler that we want to accept any type that can be converted into a Speed. // Calling `.into()` converts the value of `speed` into type `Speed`. The Speed documentation describes the different types that it can be converted from in detail. For other types and in other crates where this may not be explicitly documented, you can always find this information by looking for implementations of the From trait. Why look for From and not Into? It turns out that the Rust compiler knows a rule that says "if some type A can be converted from type B, type B can be converted into type A." That is why most types only implement From and leave Into to automatically be derived based on the rule. See the documentation of the Into trait for the "blanket implementation" which defines that rule. Moves the turtle directly to the given position. See the Point struct documentation for more information. If the pen is down, this will draw a line. The turtle will not turn to face the direction in which it is moving. It's heading will stay the same. Use set_speed() to control the animation speed. Goes to the given x-coordinate, keeping the y-coordinate and heading of the turtle the same. See go_to() for more information. Goes to the given y-coordinate, keeping the x-coordinate and heading of the turtle the same. See go_to() for more information. Moves instantaneously to the origin and resets the heading to face north. Returns the turtle's current heading. The unit of the returned angle is degrees by default, but can be set using the use_degrees() or use_radians() methods. The heading is relative to the positive x axis (east). When first created, the turtle starts facing north. That means that its heading is 90.0 degrees. The following chart contains many common directions and their angles. You can test the result of heading() with these values to see if the turtle is facing a certain direction. Rotate the turtle so that its heading is the given angle. The unit of angle is degrees by default, but can be set using the use_degrees() or use_radians() methods. The turtle will attempt to rotate as little as possible in order to reach the given heading (between -180 and 179 degrees). Use set_speed() to control the animation speed. See heading() for more information. Returns true if Angle values will be interpreted as degrees. See use_degrees() for more information. Returns true if Angle values will be interpreted as radians. See use_radians() for more information. Change the angle unit to degrees. Change the angle unit to radians. Pull the pen down so that the turtle draws while moving. Returns the size (thickness) of the pen. The thickness is measured in pixels. See set_pen_size() for more details. Sets the thickness of the pen to the given size. The thickness is measured in pixels. The turtle's pen has a flat tip. The value you set the pen's size to will change the width of the stroke created by the turtle as it moves. See the example below for more about what this means. Notice that while the turtle travels in a straight line, it produces different thicknesses of lines which appear like large rectangles. Returns the color of the pen. Sets the color of the pen to the given color. Returns the current fill color. This will be used to fill the shape when begin_fill() and end_fill() are called. Sets the fill color to the given color. Note: The fill color must be set before begin_fill() is called in order to be used when filling the shape. See begin_fill() for an example. Begin filling the shape drawn by the turtle's movements. Rule of thumb: For every call to begin_fill(), there should be a corresponding call to end_fill(). The following example will draw a circle filled with the color red and then a square with no fill. Stop filling the shape drawn by the turtle's movements. See begin_fill() for more information. Returns true if the turtle is visible. Makes the turtle invisible. The shell will not be shown, but drawings will continue. Useful for some complex drawings. Delete the turtle's drawings from the screen, re-center the turtle and reset all of the turtle's state (speed, color, etc.) back to the default. Delete the turtle's drawings from the screen. Does not move turtle. Position, speed and heading of the turtle are not affected. The background color and any other settings (pen color, size, etc.) all remain the same. Rotates the turtle to face the given point. See the Point struct documentation for more information. If the coordinates are the same as the turtle's current position, no rotation takes place. Always rotates the least amount necessary in order to face the given point. Convenience function that waits for a click to occur before returning. Useful for when you want the turtle to wait for the user to click before continuing. 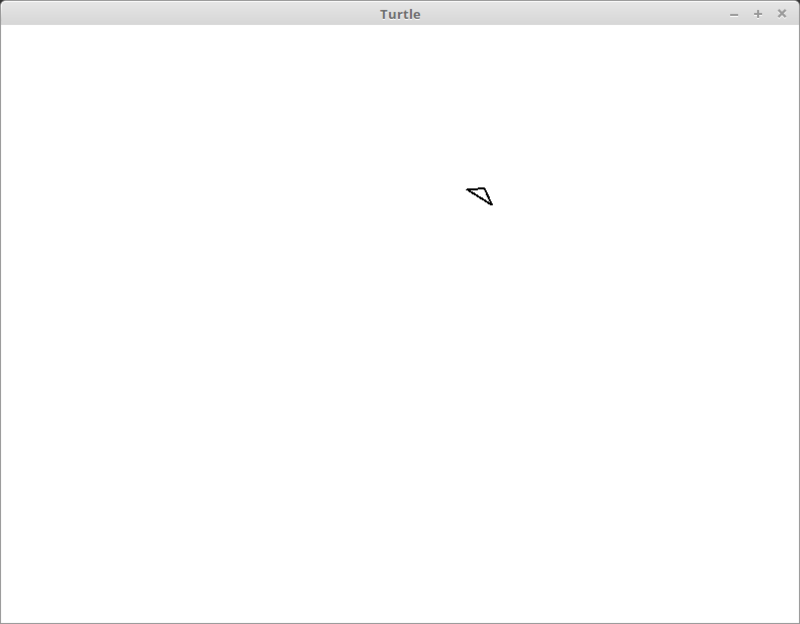 Use this to force the turtle to wait before it starts drawing at the beginning of your program. This method uses poll_event() internally and ignores any other events that take place before the click is received.